Skelton Welding is a metal fabrication shop in Loomis, CA. Welcome to Iron World – Fence World! 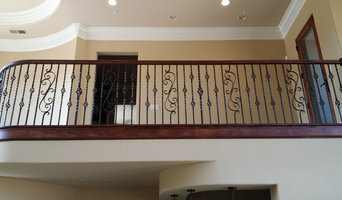 Located in Sacramento, we fabricate and install Ornamental Iron in Sacramento and outlying areas. We are a family owned business for 50 years, and have been at our current location in East Sacramento, California since 1978. We are a father and son company designing and building just about anything from metal, we have done large production housing projects down to light fixtures. We provide forged and fabricated custom metalwork. Abesco Distributing started manufacturing tie-downs and foundations for the modular industry in 1977. Since that time we have worked with the State of California, HCD, to get state wide approval for all our products. We designed and manufactured the Mobile-Up system which was used in earthquake and hurricane prone locations. This product was shipped all over the country throughout the 80’s and 90’s. From there we worked with our engineer to design a system that could be introduced to homes and commercial buildings that were already in place. Technology and better engineering lead us to the Tuf-1 Permanent Foundation, and the Tuf-1 Earthquake Resistant Bracing System (ERBS). This product paved the way for retro-fitting modular homes throughout the industry. The Tuf-1 has been used in every facet of modular building, from the preset home owner wanting some peace of mind, to army military housing & barracks. We've taught contractors in California, Oregon, Washington, Arizona how to install it. This foundation has been put under tens of thousands of homes to this point. We installed this foundation under schools and have worked hand in hand with the Army Corp of Engineers to earthquake brace their military housing in Alaska, Texas, Washington, Oregon, and California. We have of late, been in contact with FEMA & Temporary Disaster Services to retro-fit South America, Asia, New Zealand, Australia, as well as U.S. Abesco has been on the front lines, designing and manufacturing products that have become the industry staple for over 30 years. If you want your home or office set up correctly and securely, look no further than the company with a solid foundation, Abesco Distributing. Thank you for taking the time to read my introduction. Please feel free to contact me with any questions you may have. Thank you! FURRUM IRON WORK has developed a reputation for quality work, reliability, and excellent customer service. Our styles of work range from traditional ironwork inspired by French and Mediterranean styles to more contemporary and modern offerings. We provide a complete line of products, including gates, railings, balconies and staircases, as well as many other custom fabrications. 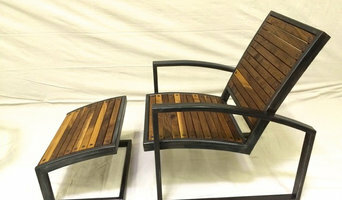 Our Master wrought iron craftsmen are able to fabricate any Custom needs you may have .We have a fast turnaround time to make sure your project will get done on time! 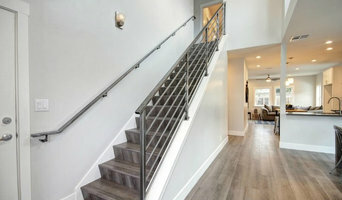 As a company, we are always happy to work with our customers in creating ideas and solutions for their ironwork needs. We invite you to call us for your free estimate and consultation so that you may see our complete portfolio and we can answer any questions you may have about our products and services. You may not realise it, but the fine detail in balustrades, gates and garden screens is often the work of wrought iron specialists. 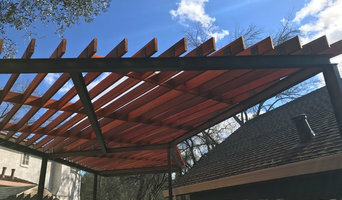 Also known as blacksmiths, they can cut, shape, join and solder metals into forms that are as decorative as they are functional, for Sacramento, CA home projects large and small. Whether your taste is classic or contemporary, a blacksmith or wrought iron craftsman can design and fabricate bulk metals to complete the style of your Sacramento, CA home, then install them onsite. This includes ornamental sculptures, stair and balcony balustrades, fences, and gates. Some pieces are mass produced, while others can be custom crafted with intricate curves, spirals, decorative insets and symbols. To achieve your desired effect, they will use a range of processes including forging, bending and welding. 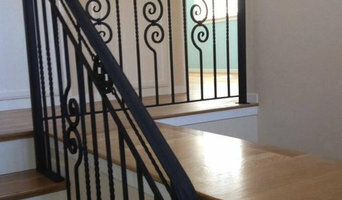 Find a Sacramento, CA blacksmith, welder or wrought iron worker on Houzz. Scroll through this page to find blacksmiths, welders and ironworkers in your area that can design and fabricate metal work for the interior or exterior of your home or landscape. You can browse their portfolio, read reviews and see how other homeowners rate their service and expertise.